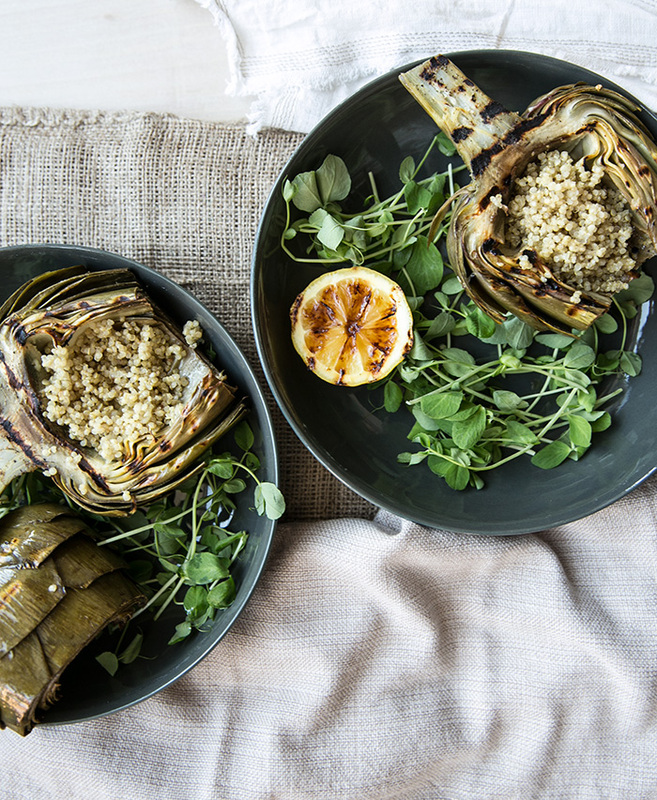 Yes, this is my second artichoke recipe of the season. No, this will not be the last. As you are probably well aware, I'm kind of obsessed with artichokes. They are one of my favorite foods of all time. I'm not sure exactly why I love them so much. 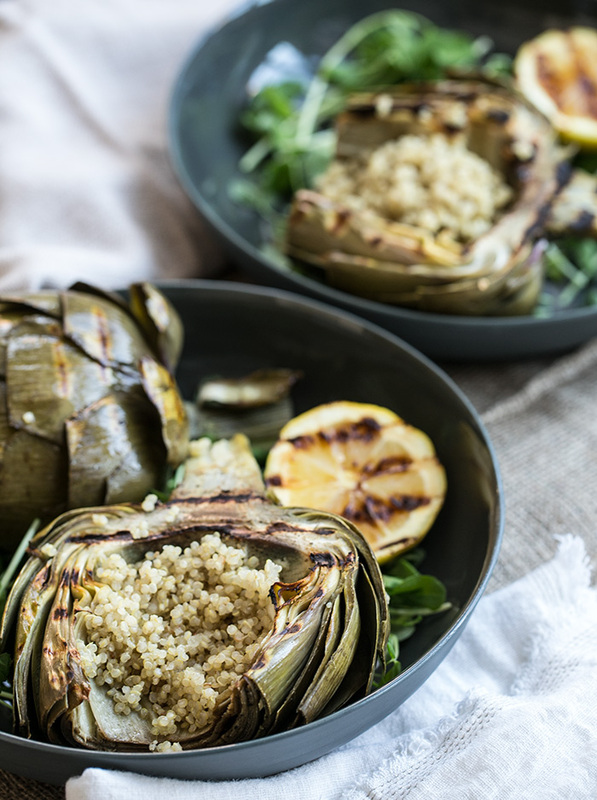 My mom used to make big batches of steamed artichokes when I was growing up, and when they were in season, it seemed like we always had stuffed artichokes around. I'd come home from school and immediately run to the fridge with hopes that I would find something yummy to snack on, and if that yummy thing happened to be an artichoke, well then it was a happy day. My mom always used the same recipe, and when I started making them for myself I used my mom's recipe. It was not until the past couple of years that I started to branch out prepare them in different ways. When we were in Rome for our honeymoon last year, it was artichoke season. Lucky me. Lucky us. There was not a single restaurant in Rome that did not have an artichoke on the menu. Some as an appetizers, some as a side, and a few as a main course. They were prepared in every which way, steamed, fried, grilled, served in salads, dissected, or whole. And we tried them all. It definitely inspired me to branch out and try different preparations. This marinating and grilling preparation has been my absolute favorite this year. So much so that I have not stuffed or steamed a single artichoke this season ..... (yet). It is a little easier because you don't have as much prep and cook time. You just steam them lightly, toss them in a bag with some olive oil, salt, pepper, garlic and lemon and when you're ready to eat them just throw them on a grill or grill pan for a few minutes. As with most things, the longer you marinate the better. I have made these about 4-5 time in the past few weeks. I have wondered if Michael is getting sick of artichokes, I don't think it possible for me to.